Hookit and Ricky Carmichael University announced today an expanded partnership, continuing their involvement for the second year running. For RCU 2013, Hookit boosted their role, creating and powering the all-new RCU website. Hookit will manage the site top to bottom from online registration to instructor profiles all the way through to information about the clinics. In addition, Hookit returns to the seminar lineup presenting an expert session on social media, self-promotion and sponsorship. “We are honored to join RCU for another year to be a part of their amazing program,” said Scott Tilton, CEO, Hookit. “Young riders are hungry for ways to become better racers and RCU gives them the best tools to make that happen.” “The goal of RCU is to give these young riders the best instruction and information out there,” said Ricky Carmichael. The people at Hookit are experts at what they do, plus their motto is ‘support the athletes’. Teaming with them is the obvious choice because we all believe in the same purpose.” Ricky Carmichael University happens July 3, 2013 at the famed RedBud Motocross track in Buchanan, Michigan. Instructors this year are Ricky Carmichael, Jeff Emig, Jeff Stanton, Grant Langston and Ivan Tedesco. RCU is an unprecedented opportunity for motocross riders to learn from the Greatest-of-All-Time and his accomplished faculty. About Hookit? Hookit is a powerful digital marketing platform for sports. Monster Energy, Dunlop, SPY, Recon Tour, TransWorld Media, Roadracing World, Jeremy McGrath, Justin Barcia, Aaron Gwin, Ryan Guettler and over a million other athletes, brands, spots, events and media partners use Hookit. Hookit exists to support athletes by plugging them into our growing network. Join the Movement — find Hookit on your phone or www.hookit.com. 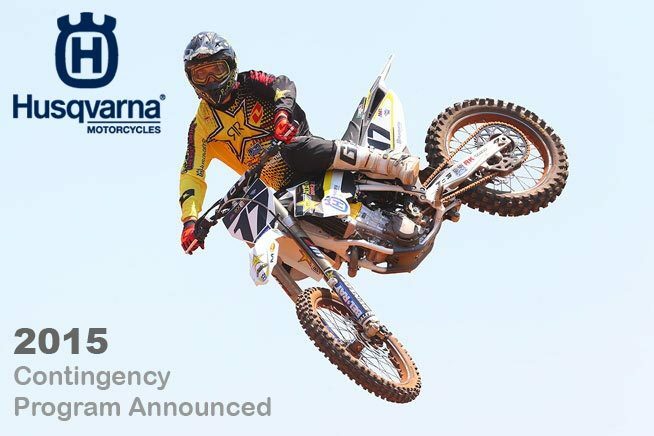 About Ricky Carmichael University Ricky Carmichael University began in 2010 as a once in a lifetime opportunity for motocross riders of all ages and skill levels to learn from The-Greatest-of-All-Time, Ricky Carmichael. Students receive on-track learning as well as face to face time in the classroom from Carmichael’s hand-selected faculty of experts such as Jeff Emig, Jeff Stanton, Grant Langston and Ivan Tedesco. While students are in action, parents, family members and mechanics are encouraged to attend off-track seminars by leading industry experts covering important topics to keep families and crews as prepared as possible. RCU started in conjunction with the Ricky Carmichael Amateur Supercross at Daytona International Speedway. Since a racing boom in 2012, the riding school’s popularity has expanded from Daytona to include the annual US dates as well as overseas in Doncaster, UK. For more information, please visit www.rickycarmichaeluniversity.com About Ricky Carmichael Ricky Carmichael won 102 American Motorcycle Association (AMA) Motocross Nationals and 48 AMA Supercross main events for a record 150 major wins between 1997 and 2007. The Tallahassee, Fla., resident won 10 AMA Motocross Championships and five AMA Supercross crowns, giving him a record 15 major titles in his career. After retiring from professional motocross racing, he began pursuing a career in auto racing and was named the 2009 NASCAR Camping World Truck Series Most Popular Driver. Currently, Carmichael can be found in the TV booth providing color commentary on CBS and Speed’s Supercross coverage. As for motocross, he will forever be known as “the Goat,” which stands for greatest of all-time.